← HOW DO WE COPE WITH BAD ‘NEWS’? 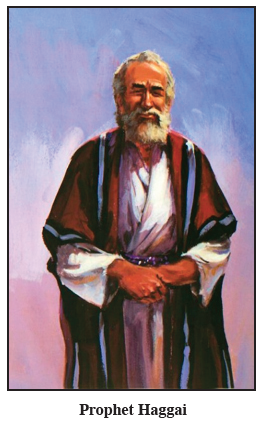 After the children of Israel returned to their homeland from Babylonian captivity, they faced stiff opposition from their neighbors and decided not to continue re-building the temple of God (read about it in Ezra chapter 4). It was easier for them to build beautiful houses for their families. Their religious neighbors would not give them a hard time for taking care of their families just as long as they didn’t promote the house of God. It’s not that Israel determined to permanently ignore God’s honor and place, It’s just that re-building the temple was very controversial. A lot of folks were opposed to it. Conventional wisdom said it would be better to not be too public about their faith until things cooled down. God would just have to wait. He would be homeless for now. In 520 BC it fell to the prophet Haggai to call upon the people to get their priorities straight. Through the prophet God asked: “Is it a time for you yourselves to be living in your paneled houses, while this house remains a ruin?” (Haggai 1:4). In actuality, they were hurting themselves by neglecting their God. They worked from sun up to sun down but had very little to show for all their hard work. God was not blessing them; He would not bless them as long as there was no place for God to dwell. He said: “You have planted much but have harvested little. You eat but never have enough. You drink but never have your fill. You put on clothes but are not warm. You earn wages, only to put them in a purse with holes in it” (Haggai 1:5-6). Life can be unfulfilled and frustrating when other things take first place while God is forced to take last place, or to have no dwelling place at all. Today there are many opportunities to make life easy for ourselves and our families. As Americans we have the freedom and resources to meet our needs and more than our needs. Materialism rules the day. Greed, ambition, selfishness, finery, convenience, entertainment, eating out and credit cards have become the priority for many Christians. We are doing pretty well for ourselves, aren’t we? Most of us have comfortable houses. But what about God’s house? Does not the scripture tell us the church is the “temple of God,” that God’s Spirit lives in us (1 Corinthians 3:16)? If the church is the household of God, “the pillar and foundation of the truth,” is there anything in all the world more sacred, more important, more worthy of our affection, more deserving of our personal sacrifice (1 Timothy 3:15)? Is the work of the kingdom on the “front burner” of our concerns? Or, have we been overwhelmed by the materialistic focus and by our actions, paid only lip service to a homeless God? The Lord said to His people: “Give careful thought to your ways” (Haggai 1:7). “Careful thought” is not the same as a “passing thought”. Passing thoughts lead to momentary regrets of spiritual negligence. What God demands is deliberate, reflective, personal consideration about His place in our lives! He wants us to really think about things. There are changes we need to make. There are adjustments in our priorities we need to make. What God expects is nothing short of putting Him first in our lives. He said, “Seek first His kingdom and His righteousness” (Matthew 6:33). He wants the kingdom to be “within” us (Luke 17:21) — individually and collectively. He wants to make His home in our hearts (Ephesians 3:17). He wants to live “with” us and “in” us (John 14:18), to make His “home” with all who love and obey Him (John 14:23). He expects us to make sacrifices (financially and otherwise) to advance the cause of God in our neighborhoods, our nation and throughout the world. He will not settle for superficial religiosity. He wants us to bring Him the honor He deserves. Anything less than this will result in hurting ourselves as we invest time. 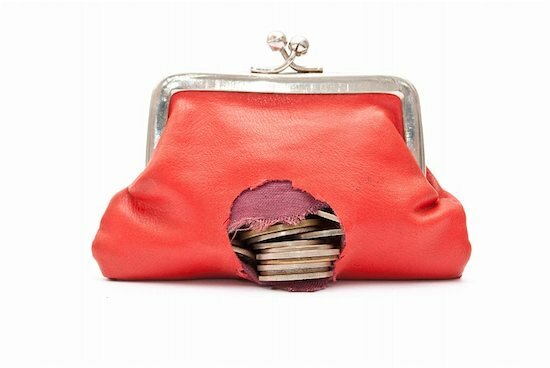 energy and money in purses with holes. God is not content to be a homeless Savior. This entry was posted in God, God's House, Haggai, Purses With Holes, Putting God First, Sacrifice, Uncategorized. Bookmark the permalink. 2 Responses to IS YOUR GOD HOMELESS? DT, have you considered preparing a book of your blogs? I make copies and keep them in a ringbinder. Occasionally, I refer to them when teaching LBC. Just a thought.